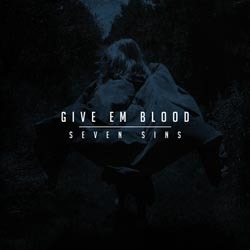 Give Em Blood is a fairly young band that only started in 2009, and playing single shows since 2010. A year later they released their first split EP in 2011 through BDHW records and started touring that very same year. And for those that never heard of them, these guys play metal core. And that’s all the info i could find about these guys, but they have a record out since September. Its best described as typical, nothing groundbreaking and certainly no copy cats, but just typical. It just makes you wonder where you heard those songs before. The parts i love most about this record are the way the used electronic samples, which were so well done and placed. So conclusion is that it’s fun to listen to once or twice but that’s it.